House Speaker Nancy Pelosi told President Trump the House wouldn't approve a resolution allowing him to address Congress until the shutdown ends. 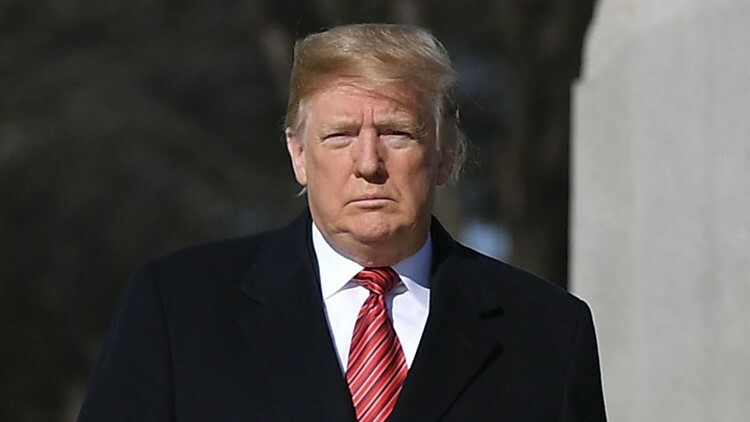 WASHINGTON — President Donald Trump said he is postponing his State of the Union address until the partial government shutdown ends, yielding after a weeklong showdown with House Speaker Nancy Pelosi. "As the Shutdown was going on, Nancy Pelosi asked me to give the State of the Union Address. I agreed," Trump tweeted shortly after 11 p.m. EST. "She then changed her mind because of the Shutdown, suggesting a later date. This is her prerogative - I will do the Address when the Shutdown is over." "I think that's a great blotch on the incredible country that we all love," Trump said earlier Wednesday. "It's a great, great horrible mark." "It would be so very sad for our Country if the State of the Union were not delivered on time, on schedule, and very importantly, on location," he wrote. Pelosi quickly squelched the speech, writing back that the House "will not consider a concurrent resolution authorizing the President's State of the Union address in the House Chamber until government has opened." The Constitution states only that the president "shall from time to time give to the Congress Information of the State of the Union," meaning the president can speak anywhere he chooses or give his update in writing. The address has been delayed before. Ronald Reagan's 1986 State of the Union address was postponed after the Challenger space shuttle exploded in flight on Jan. 28 of that year. She wrote Wednesday: "I look forward to welcoming you to the House on a mutually agreeable date for this address when government has been opened." Moments after her letter became public, Trump told reporters he wasn't surprised by Pelosi's action. Democrats have become "radicalized," he claimed. He expanded on those sentiments during a subsequent event at the White House, calling the cancellation a "disgrace" and asserting that Pelosi didn't want to hear the truth about the need for better border security.